Who wouldn't want to be surrounded by bright, tropical flowers? With this set, you can be! This contains four layered tropical flowers, two-layered leaves, and four tropical sentiments. 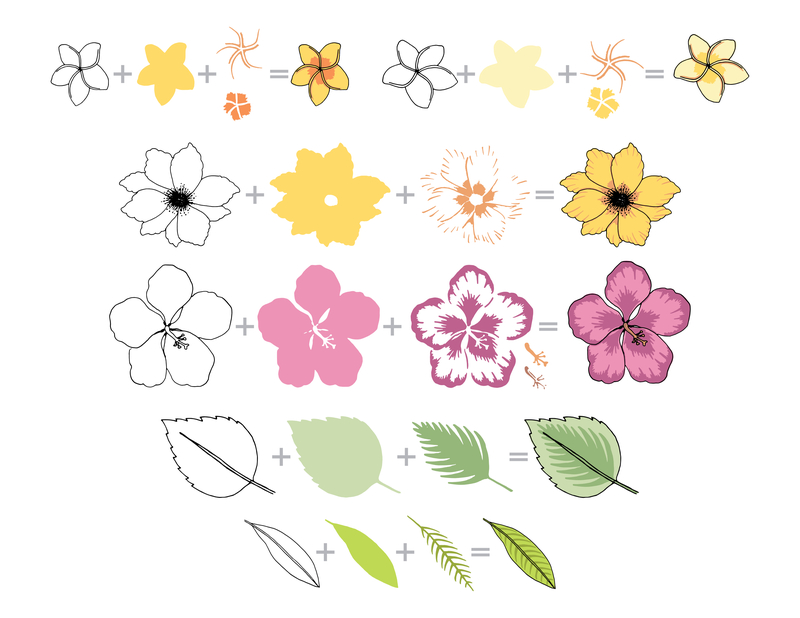 With this easy layering set, you can surround yourself with the flowers of Hawaii right in your craft room! This is a 6” x 8” clear stamp set containing 25 stamps made in the USA from high-quality photopolymer.